A debut author’s short story proves to be entertaining and enlightening as well as thought-provoking. A spiritually, heart-warming story that every reader who is a seek should never miss! Kevin M. Treanor walks readers through the doctrine of reincarnation (or rebirth) in his novella, titled “The Lives of Louis Linville” (Archway; 2018). The aim of the author’s debut book is not to discuss the doctrine, which is associated with major Indian religions like Hinduism and Buddhism, in religious terms but to show how it impacts a person’s soul’s purpose as they experience a different life cycle one after another. This is the case of Louis Linville, a successful business consultant, who ‘floats somewhere between reality and the world beyond’ after figuring in a vehicular accident. In that place, he meets his Watcher, a divine being that somewhat acts as his guardian angel who has been guiding him and easing his transitions throughout his lives. Louis, at his present condition, is ‘a soul on the cusp,’ which, according to the Watcher, is the period when one body is dying, before a person’s soul is assigned to another body. The Watcher is going to guide Louis through the cusp, helping him to die unafraid – and ensuring he does not die alone. In that transition, the Watcher leads Louis on a journey to revisit three of his many past existences. Join Louis as he travels back into his past lives and learn the good and bad lessons of his former existences. Order Kevin M. Treanor’s “The Lives of Louis Linville” through Amazon and Barnes&Nobles. “The Lives of Louis Linville” is now being displayed at the Los Angeles Times Festival of Books (April 13-14, 2019) at the University of Southern California in Los Angeles, CA. Kevin M. Treanor is a retired aerospace manager who now has the time to indulge his imagination. He resides in Lancaster, California. 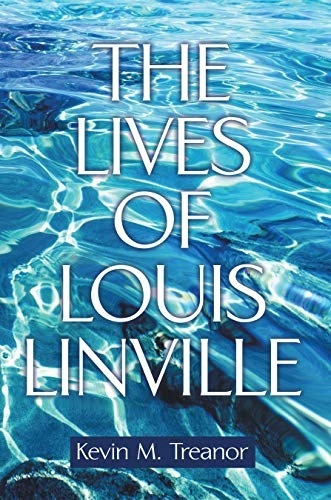 “The Lives of Louis Linville” is his first book.